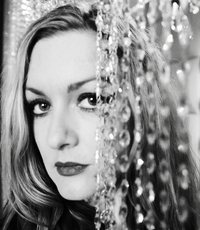 I alerted you a few months ago about Sarah Nixey's excellent new single "Strangelove," a song about the heaven and hell of love that Nixey approaches with both cool and fury. 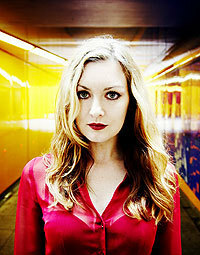 Some of you might remember Nixey from the work she did with John Moore and Luke Haines in Black Box Recorder. The group is currently on hiatus, giving Nixey the opportunity to work on a solo project. "Strangelove" is pure pop confection with a frothy synth arrangement and Nixey's totally irresistible disco chic vocals in proper Queen's English. "Dress to kill. Make your mark," Nixey sings. Free Download: Mika "Love Today"
Momentum for emerging popera singer Mika is building all across the blogsphere and his label was happy to share another guilt-free MP3 download with Arjanwrites.com readers. The energizing "Love Today" is a special track that you will be hearing a lot in the upcoming weeks. The tune is featured in the forthcoming RED commercial to promote RED products during the holiday shopping season. Check out the commercial starring Chris "Mango" Kattan here. 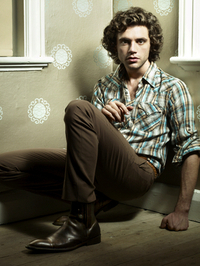 Later this month, the song will also be available on iTunes around the world including a little interview with Mika. Check out Faithless' amazing new single "Bombs" that is accompanied by a phenomenal video with visually stunning effects that emphasizes the bleak social commentary of the song. It is a must-see piece of art that is so poignant and true that it sent chills down my spine when I first saw it. The single features Kubb's Harry Collier on lead vocals and is taken from Faithless' new album "To All New Arrivals" that will be out on November 27. "Bombs" perfectly captures the absurdity and insanity of war. "Bomb, bomb, the whole block gone. Can't find my children and dust covers the sun. Everywhere is noise, panic and confusion but to some [it's] a fun day in Babylon," says Maxi Jazz in the song. The title of the new album not only refers the fact that both Rollo and Miss Bliss just became parents (Rollo got his second child and Miss Bliss her first), but also to the metaphorical meaning of new arrivals, not just those "to the world today, but to Buddhism, or adulthood or what have you...," states a press release. As with Faithless' previous effort, the electro-rock collective once again balances style with substance with incredible imagery. Not only in their new video, but also with the artwork for their new album. I love how the group is able to create a compelling visual representation of their music that still allows for your own interpretation. Columbia Records was glad to exclusively share the Galaxy 21 remix of "Bombs" with Arjanwrites.com readers. This is not your run of the mill house mix. This propulsive, haunting dance production further intensifies the chaos portrayed by the original (including bombs and explosions). "Bombs" is already out as a download (released October 23rd) and is available as a physical format on November 20th. And I can't say this enough, if you haven't seen the video, do it now. Anglo-Swedish pop-rock outfit Razorlight is taking Europe by storm with their new single "America" that is taken from their self-titled sophomore album. It is played on the radio in Amsterdam nearly every other song (just like Scissor Sisters' "I Don't Feel Like Dancing" and the new Sugababes single). "America" is a great pop track with a classic beauty that reminds me of '80s tunes from Crowded House, INXS and Simple Minds. The British music press has slammed singer/songwriter Johnny Borrell for the "bland" composition, but I don't think he wrote this single to impress critics. It is one of those evergreen tunes that will stay around to entertain the pop-loving masses for a while. 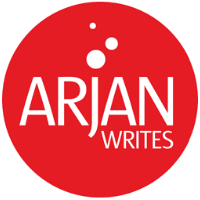 The cool folks at Universal Motown are offering readers of Arjanwrites.com an exclusive MP3 download of the song. Enjoy it! 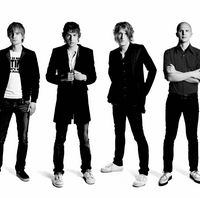 Stream other Razorlight tracks on their MySpace page.